WILLEMSTAD - On March 15, 2017, the U.S. Federal Reserve raised the federal funds rate to 0.75 - 1.00%. This was the third increase since the historically low level of 0.00 to 0.25%, which was used from December 16, 2008, until 16 December 2015. Due to the link of the Guilder to the US dollar, the interest rates on the international money market have an impact on the interest rates on the money market of the monetary union of Curaçao and Sint Maarten. 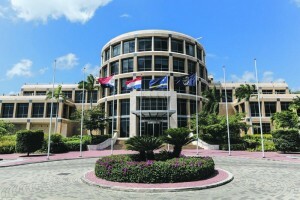 The interest rates used by the Central Bank of Curaçao and Sint Maarten (CBCS) for the auctions of certificates of deposit (CDs) for banks every two weeks are based on the international US dollar LIBID- rate. An increase in the federal funds rate works directly in the international money market rates. The CBCS, therefore, decided to increase its lending rate from 1.00% to 1.50% by March 20, 2017. The historically low level of 1.00% was since December 29, 2008, in effect.